Most teens dream about the day they open the front door to find a brand-new car with a big red bow tied around it parked in the driveway. In this dream, they hug their parents' necks, grab the keys, and take off into the sunset. Or, down the block to pick up their friends. However, much more goes into earning your driver's license than just getting a car or even just passing the exams. Although the actual licensing process you'll go through depends on your state, there are a few universal factors to consider regardless of where you live. Depending on your home state, you may be required to take and pass a formal driver education course. These courses can be offered as part of your high school curriculum in many states, although you have the option of enrolling in driver education courses offered by third-party driving agencies. Inspect your vehicle before getting in the car, such as checking for flat tires. Prepare for driving before starting the car, such as adjusting the mirror, adjusting your seat, and fastening your safety belt. Enter and exit rural roads, urban streets, and fast-paced highways. Read road signs and traffic lights. Correctly give a turn signal. Handle emergency situations, such as flat tires, traffic accidents, and running out of gas. You might also have the chance to accompany your classmates as they drive, as well as drive while they accompany you. This is important because it gives you and your classmates the opportunity to witness and learn from each other's driving mistakes, as well as good driving habits. This may seem a bit nerve-wracking at first, especially if your current crush happens to be in your class, but you can take comfort in knowing that you're surrounded by peers who are usually just as inexperienced as you are. Obtaining a driver license is a much more in-depth process than it used to be; the days of studying for and obtaining your learner's permit only to turn right around and take the exam for your driver license are almost obsolete. 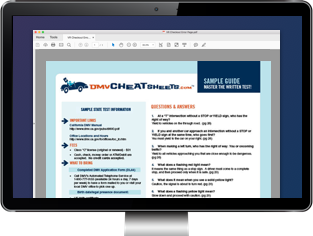 In the 1970s, the National Highway Traffic Safety Administration (NHTSA) developed a model of what is known as graduated driver licensing (GDL). GDL consists of three phases: a learner's permit, an intermediate permit, and a driver license. GDL also imposes certain time requirements on each permit, which means you must have your learner's permit for a certain amount of time before you can apply for your intermediate permit, and you must have your intermediate permit for a certain amount of time before you can apply for your driver license. Along with time requirements, GDL also enforces age requirements as well as educational and training requirements that must be met before you can complete each phase of the program and move on to the next. So, depending on your state's GDL process, you might have to wait until you turn a certain age before you apply for your intermediate permit, even if you've already had your learner's permit for the required amount of time. Today, almost all states use some form of GDL in their driver licensing programs. Time, age, educational, and training requirements can vary from state to state, so make sure you understand your state's licensing process so you can meet the requirements. Your driver education and training doesn't stop once you pass the class or obtain your driver license. As a new driver, every bit of practice helps. Regardless of whether or not you've successfully completed your driver education course, and despite your current level in the GDL process, as long as you have at least the required permit to drive while accompanied by an adult, it's important to keep practicing your driving. Try to drive in as many weather and road conditions as much as your parents' stomachs can handle. Always make sure you're accompanied by a licensed adult if required, and always drive during the hours you're allowed. Not many people enjoy being told what to do, especially teen drivers; however, you shouldn't disregard the advice you receive from more experienced drivers. They've been in your shoes before, and they know what they're talking about. Pay attention to safety belt laws. Most often you can't have more passengers than your vehicle has safety belts. Make sure you and your passengers always wear safety belts. Inspect your vehicle before you get into the car, and adjust your seat and mirror before you take off. Always remember to check your gas gauge, too. Follow the rules. This includes speed limits, traffic lights, traffic signs, and signaling to the vehicle behind you when you plan to make a turn. This also includes never drinking and driving, and never riding with anyone who has been drinking or using any kind of drugs. Expect the unexpected. Always have some way to contact your parents in the event of an emergency, i.e., carry a cell phone, calling card, or extra money for pay phones. Keep extra money for gas, and make sure you have directions to your destination. Pay attention to others. This includes the vehicles behind, beside, and in front of you, as well as motorcyclists, bicyclists, and pedestrians. Pay attention to weather and road conditions. Don't be ashamed to pull over if it's raining too hard for you to properly see the road. Keep your vehicle up-to-date with regular maintenance. If you can't do this by yourself, enlist the help of your dad, your older brother, your sister, your neighbor, or the local garage. Remember, when the car is in motion it's time to concentrate. It's not time to put on makeup, fix your hair, talk on the phone, eat, or pretend you're in the middle of an American Idol audition. Put everything away and turn the music down. Driving is a privilege, and like all privileges it can be taken away if you abuse it. If you drive responsibly and safely, you can hang on to your driving privilege―and your life.